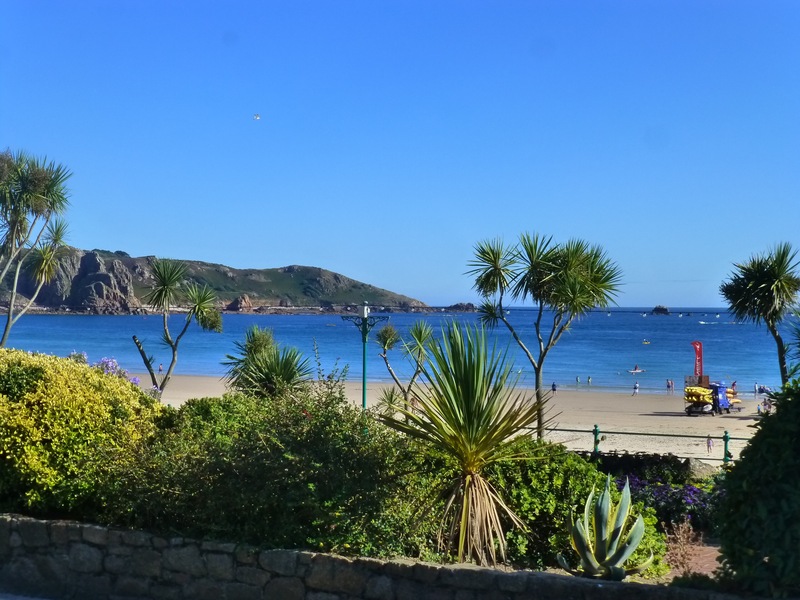 A beach day in Jersey: We treated ourselves to a slower start this morning as we were staying on Jersey to do some exploring. As usual it started out cloudy but as the day wore on it fined up beautifully. We caught the bus to the Living Legends: The story of Jersey an interactive kind of show with holograms and characters telling us about the history of Jersey. It starred the Inspector from Midsomer Murders which only reinforced the feeling I got on Sark. 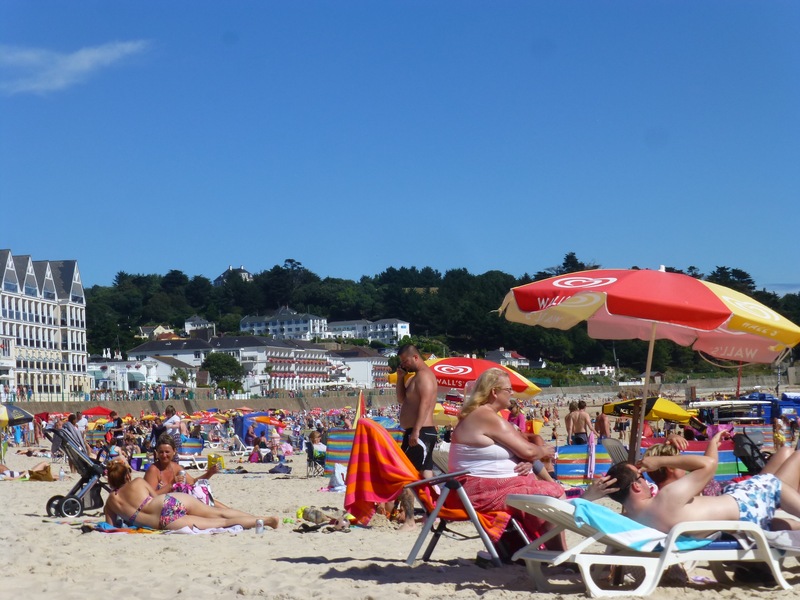 We then had a bus mishap and changed our plans to visit the vey north and opted instead for the beaches bus. 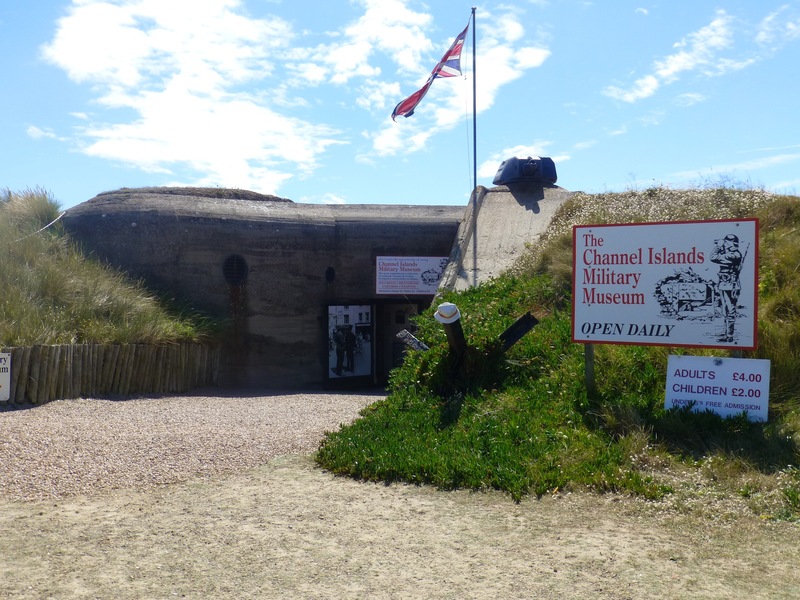 We ended up at Ouen Beach, which also has a War Museum – in a bunker and is a collection of things German and told the story of the occupation of Jersey. There were narrated stories as you wandered the rooms of the bunkers. These were very interesting – especially the one about a poor man who had tied a message to a pigeons leg only to have the pigeon end up in enemy hands. They executed him! The man not the pigeon. 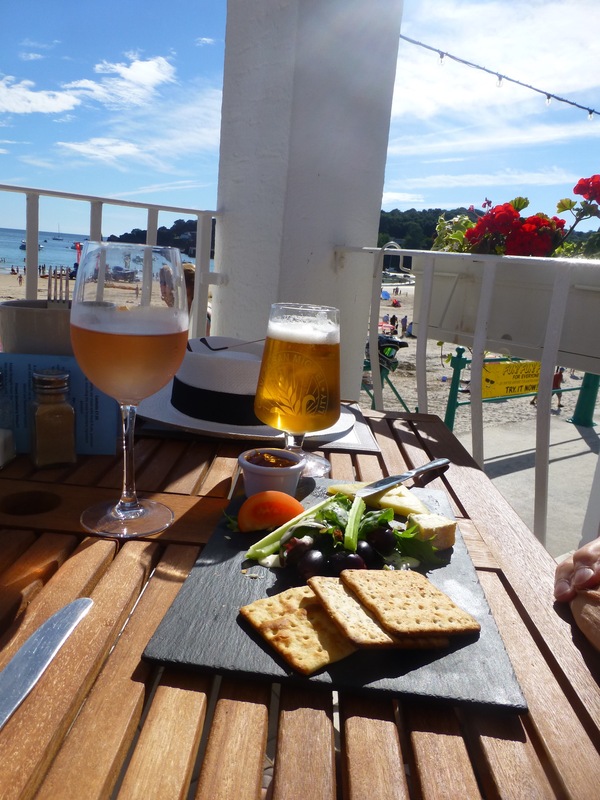 We stopped on the way back at St Brelade’s Bay. Gorgeous afternoon and all the action was at the beach. Picture this: White deck chairs supporting white and red bodies in various states of sunburn, cricket games like in Australia, people of all ages licking Jersey soft ice cream – a local favourite, people at the beach side bars drinking wine, kids running, people with handkerchiefs knotted around their heads, some people swimming but many lined up to have a ride on the Aqua planes being towed. Generally a typical Australian beach scene. Steve braved to cool water as it looked so inviting. Her swam around the bay past some yachts moored in the bay. Such a beautiful scene. Late lunch time for us at a Cafe overlooking the sand. 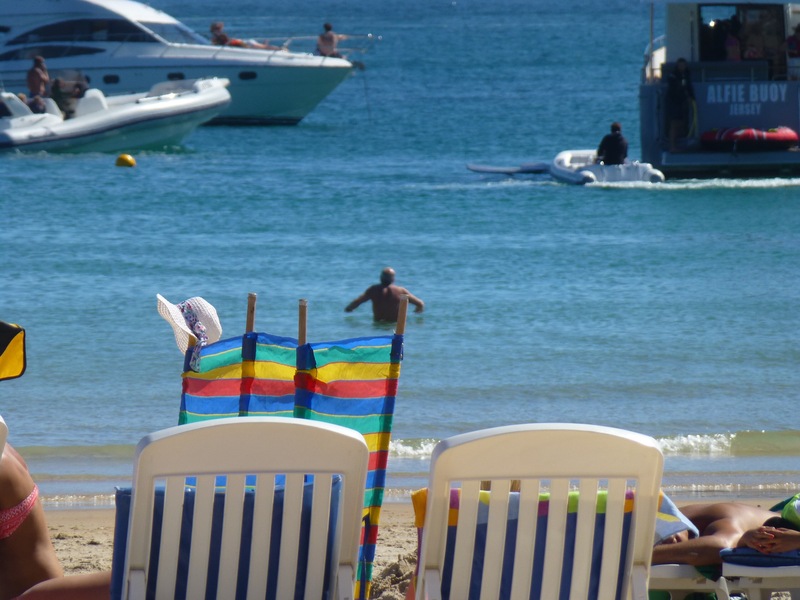 We wondered about starting a desk chair rental business at Kings beach. They sure are popular here. Late afternoon we packed up and returned to the hotel before dinner which turned out to be a search. Steve getting in the cold water! Tried a few places but they were closed. Found one overlooking the harbour with plenty of tables but at 8.15 the manager said they were too busy. A little annoyed we went back down the stairs through the bar area where a man sitting in the courtyard asked were we wanting food. We answered yes and he said try up stairs. We answered we had just be turned away from there. Turns out he was the owner! He didn’t look happy and apologised and then wanted to take us up himself and get us a table, but we declined and he pointed us across the square to the yacht club hotel where we both had a great meal. So all good in the end.